What is a buffer vessel? As with any good renewable energy heating system, correct sizing of the primary heating components is a must. The buffer vessel is in essence a large insulated water tank that looks (but does not act) like an immersion heater tank you will find in the airing cupboard. This tank will vary in size dependent upon the requirements of the system and is fairly expensive because of the components inside and how it operates. 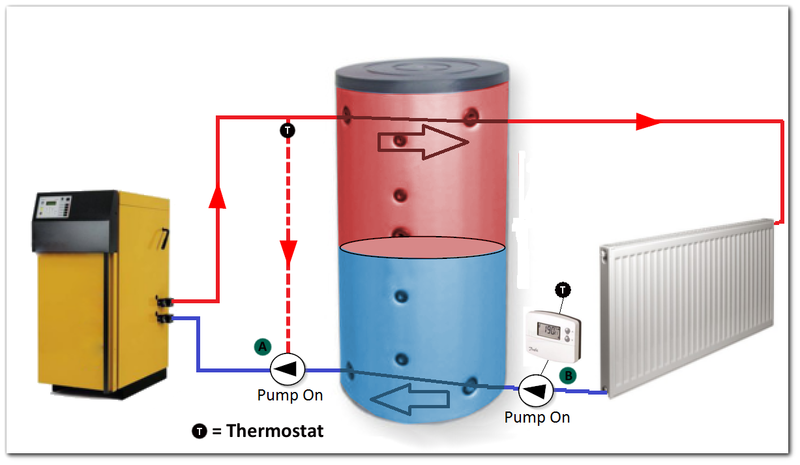 This tank is in essence a thermal store; it is a battery or capacitor for your biomass system, allowing a burst of heat when your boiler is warming up and its function is to balance the system. Even though some biomass boiler manufacturers state that one may not be required by their specific unit, this is not to say it won’t assist the overall solution to your heating requirements and increase the system’s efficiency in the long run. How does a buffer vessel work? Prevents the dilution of existing heat in the thermal store. When heating is demanded and the main thermostat and timer kick in whilst the biomass boiler is on and operating, the thermal store will be, in escence, bypassed. If the main thermostat and timer come on and the boiler is not either in operation or up to temperature, then the thermal store discharges into the heating system to provide warmth whilst the boiler fires up. Buffer vessel or thermal store? 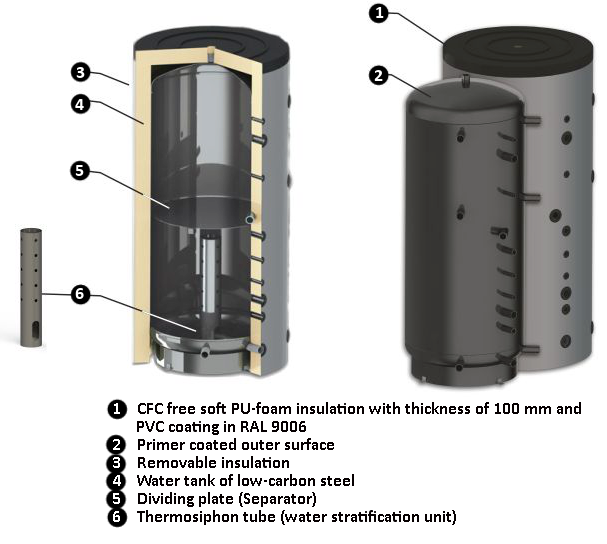 The function of the buffer vessel tank can be used either as a simple ‘Buffer Vessel’ or as a ‘Thermal Store‘. The thermal store method generally requires a larger sized unit along with a variable speed pump and other temperature monitoring equipment to function correctly, however this method offers increased system efficiencies and a more ‘refined’ overall solution. Speak to your installer about what would be best suited to your installation.